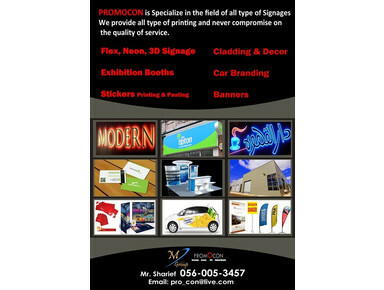 Promocon is Specialize in the field of all type of Signage, stickers, exhibition booths, office stationary, cladding, car branding etc. 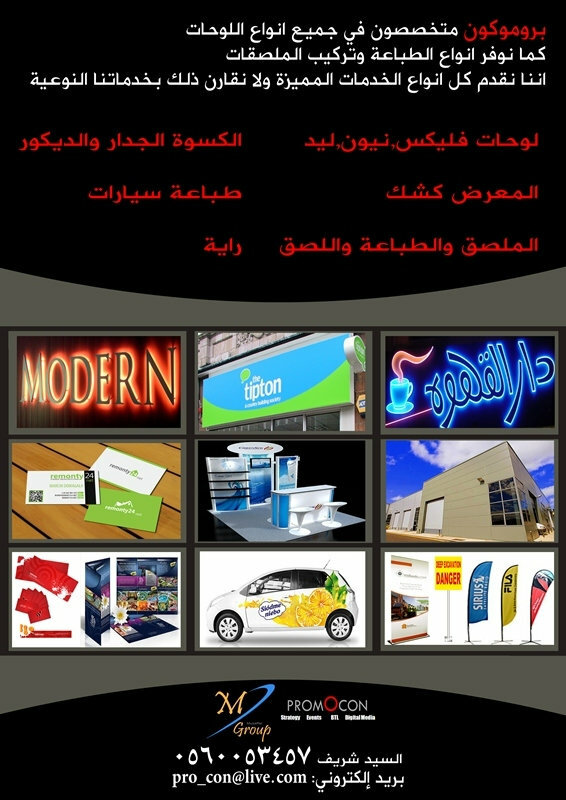 We provide outstanding services and never compromise on the quality of service. 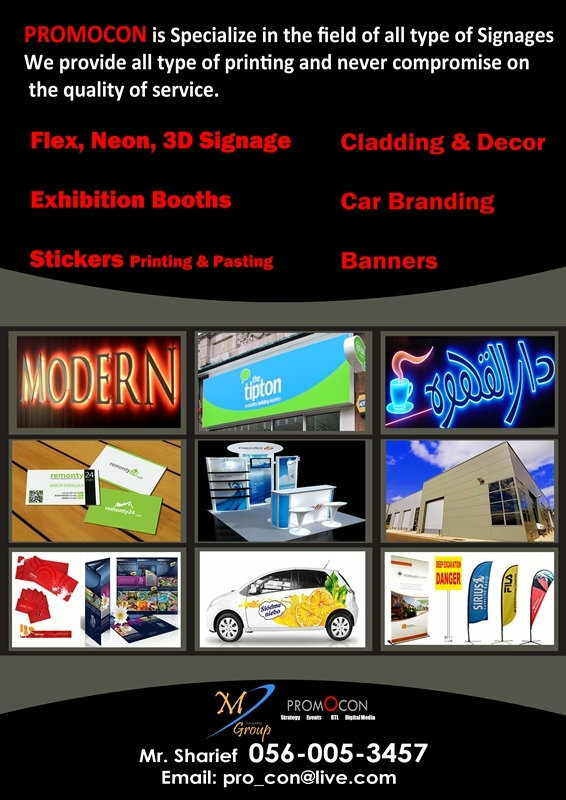 To get clear idea about what we are providing,kindly have a look at the attached flyer. For further information, please call or whats app on the number given below.